You don’t have to purposely become a networker to reap the benefits of social capital — otherwise known as the value behind your social contacts. As long as you take as much care in raising and investing your social capital as you do your financial capital, you’ll find that benefits that flow from these intangible investments will multiply your material returns many times over. Take for example a colleague of mine who is a book editor. He often works long hours in isolation, surfacing only occasionally to communicate with an author or publisher. So, how does someone with such little contact with people build social capital? It’s simple. He eventually ventured out in search of others. My friend met and wound up collaborating with a small group of writers who were forming a professional organisation. He helped the group attract new members, publish a newsletter, schedule presentations and speakers and arrange conferences with editors and agents. While the organisation grew, my friend made several new friends among the founding members. One of those connections helped him land a job that he kept for 12 years. My friend benefited from another connection who gave him a steady flow of freelance editing work. Even though he didn’t know it when he began this low-key form of networking, he was building social capital. How many times have you or another entrepreneur you know attended a networking event where you met a number of good people but never spoke with them again? Although small-business owners are often so busy they find it difficult to remember what they had for breakfast, it’s a shame to ignore new contacts you can potentially turn into new business. The key to improving your social capital isn’t the number of contacts you make. What’s important is making contacts that become lasting relationships. Imagine if you were putting together a marketing plan for the coming year and you called five close friends to ask them for help — in the form of either a referral or new business. Now, imagine cold-calling 10 people for the same reason. You’ll most likely have better luck with your close friends. How can you deepen your relationships with contacts and improve your social capital? Give your clients a personal call. Find out how things went with the project you were involved in. Ask if there’s anything else you can do to help. Important: do not ask for a referral at this point. Call all the people who have referred business to you. Ask them how things are going. Try to learn more about their current activities so you can refer business to them. List 50 people to stay in touch with. Include anyone who has given you business in the last 12 months as well as any other prospects you have connected with recently. Send them cards on the next holiday. Follow up. Two weeks after you’ve sent cards to your contacts, call them and see what is going on. If the contact is a former client or just someone you have talked to before, now might be the perfect time to ask for a referral. If it is a prospect you are calling, perhaps you can set up an appointment to have coffee and find out if their plans might include using your services. 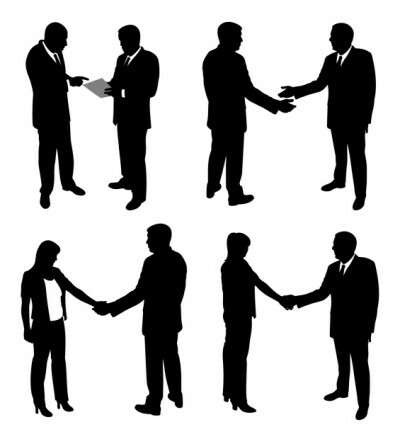 Social capital is the international currency of networking, especially business networking. After just a few weeks of putting these steps in motion, you should have more than enough social capital to tap into the rest of the year.